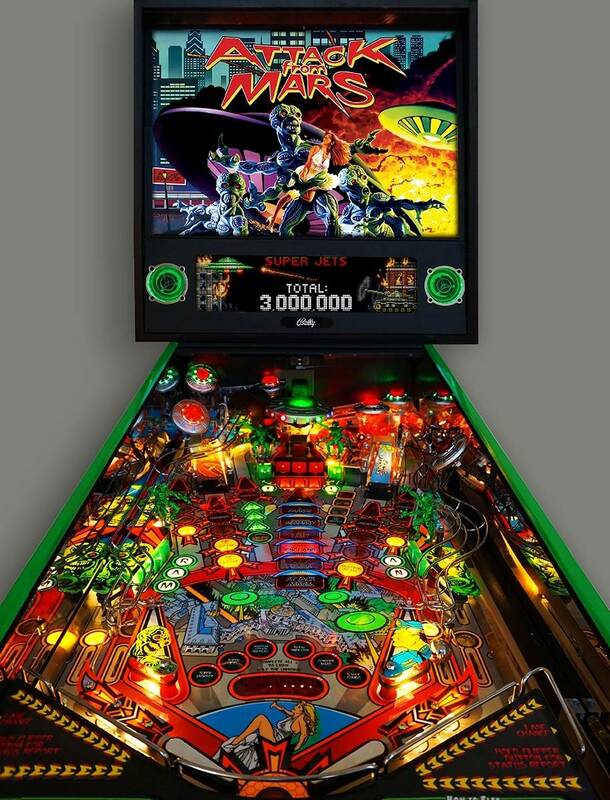 » Forum » All Pinball » What's the BEST pin you've ever flipped? » What's the BEST pin you've ever flipped? What's the BEST pin you've ever flipped? What is the BEST pin you've ever personally played? For me personally, it's JJPTOC. Loved it. What's your best? O'gosh, where do I begin? Too many, gotta narrow it down. Although I love my GOT, I have to say TWD prem. The total package for me and one of the best games ever made. Stars as far as older games go, BSD as far as newer games go. Demo Man. Bought it cheap, played the heck out of it and got to Demolition Time, then sold it two weeks later for $100 profit. When the first of these two threads came out I thought it meant flipped in that "bought and resold" sense, but they way the OP describes it is just literally like game you have flipped the ball on. Earthshaker was the first pin I fell in love with. So there is that. Iron Maiden and judge dredd I love to play those two games. WOZ is my personal favorite. It’s just got a complete “world under glass” feel and look to me. What was I thinking, these are to good to sell. The first 3 movies mean so much to me and the best elements them were incorporated into this machine perfectly IMHO. I own it and will never part with it. I'm not a super serious player, I just love pinball and Indiana Jones... so this game continues to entertain and light me up! Since the last code update I can definitively say DI. Alien I think has probably the best theme integration into a pin bar none. The ambiance and the sounds, movie clips and voice and how everything is tied together is so well done. Specifically, the BSD that I own. It’s the best playing original one that I’ve ever encountered. It just has everything in my opinion. Shorter ball times, great art, sound, animations, and call outs. For me personally, it’s a lot better than certain games costing twice as much, that people seem to like for non pinball reasons. “Flip” in the sense of resell, I’d say Torpedo Alley. I had two of them so yeah, I still have the other. It’s my favorite 80’s pin. Taxi is up there as well though, I just played it so much and got tired of it. Easy one for me: JJPOTC. The game is the complete package. It has great toys, it feels like a standard body in a packed wide body cabinet, the rule set is incredibly deep and will likely continue to improve for a few years, the sound and music are top notch, and the pin is not saturated with clips from the movie which will keep it relevant for years. I view the lack of character-intensive movie clips as a plus, and because of that, the game will stay relevant in 20+ years. This game is so deep that it seems perfect for an in-home pin. The journey to progress through modes and multi balls in order to make it through the game, which changes depending on which of the ~125 modes are put into a particular game by hitting the start button, and which of the 22 characters you pick at the outset. For all time favorites, I would say FH and TZ. For newish games that I had no real expectations and got blown away by gameplay, that would be DI and Iron Maiden premium. I view the lack of character-intensive movie clips as a plus, and because of that, the game will stay relevant in 20+ years. Scarcity of character content in the clips is hardly a plus for a licensed franchise. There's 22 character selections already included in the game, so why exclude them from the clips? If it's an iconic franchise, it shouldn't become irrelevant in 20 years. I disagree. I realize that this is not going to be a popular opinion, but I do not believe that movie clips should be included in every themed movie pin. Frankly, many games are better than their themes. For example, if The Shadow was made today and featured clips of that movie, the popularity of that game is going to suffer. To be fair, we all know that The Shadow wouldn’t be licensed for a new pin today, but that’s the point of licenses: some catch fire, some fail miserably, and most are probably mediocre. Making games based on themes requires that theme work well. To me, POTC is a mediocre theme in an outstanding pin. Clips from Wheel of Fortune, CSI, Congo, The Flintstones - movie, or Johnny Mnemonic are not going to help those pins, even if you believe they all have great shots and rule sets. I’m not trying to debate themes here, but the almost universally beloved themes will thrive with clips. Clips of themes that time proves to be weak will detract from some pins. Not every license will be Harry Potter, Star Wars, Indiana Jones, The Godfather or frankly WOZ. My answer is Metallica for what it's worth. I actually agree with your comments here. Weak themes would suffer. I misunderstood your prior post. I thought you liked the theme of POTC in your praise of the game. You like it despite the theme, therefore the lack of character content is a plus. Makes sense.